"Pillow face" wrinkles, creases and puffiness can become permanent. "Save My Face! "® La Petite Pillowcase for your "Save My Face! "® La Petite Pillow supports your head, keeping your face and eye tissue away from the sleeping surface. 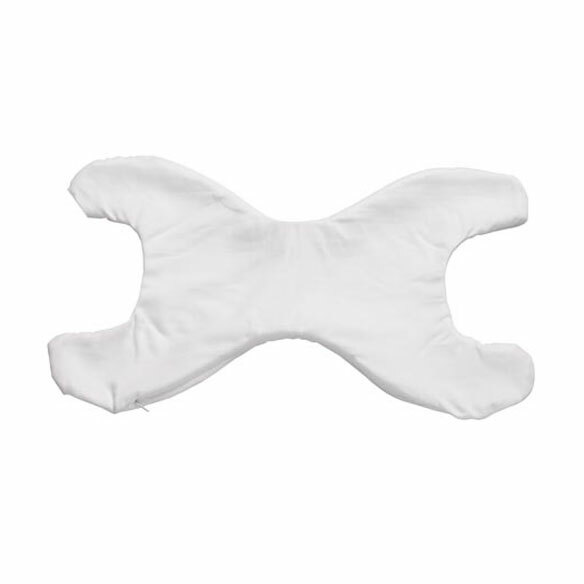 Pillowette (sold separately) can be used on top of your existing pillow or can be folded in half for neck support. Pillowcase is machine washable. White. 100% cotton. USA. 19" L x 10" W x 3" H.